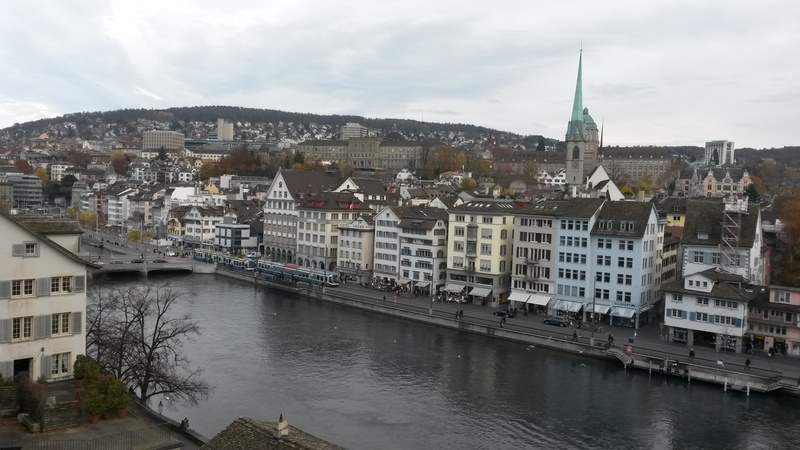 I’ll never forget my train ride from the Zurich airport to the Hauptbahnhof and the brisk walk to my friend’s apartment- across a bridge, then past a coffee shop and a creperie and a grey stone church in the quiet November moonlight. It was full-on culture shock. Why is everything in German? Why is everything so clean? Why are there so many churches? Why does everyone sort of look like me? Why is it so cold? 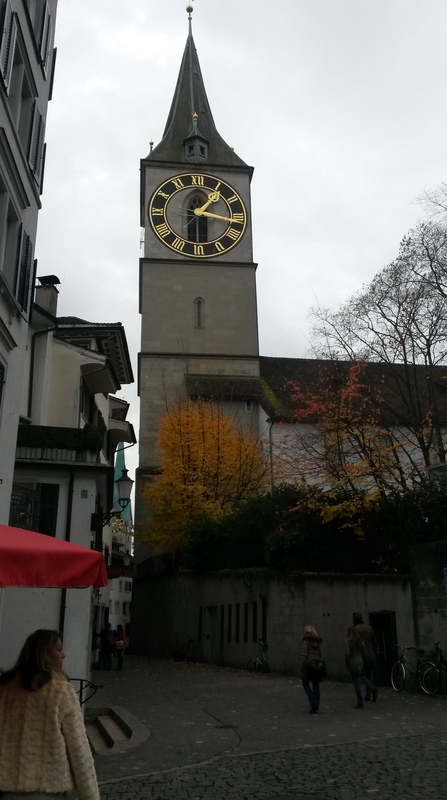 But I needed this weekend, with its crisp fall air and colorful autumn leaves and hours of wandering around beautiful little streets with quaint tiny shops and wide boulevards with big fancy department stores, peacefully inconspicuous. Morocco is chaotic and exciting and you never know what’s going to happen next. 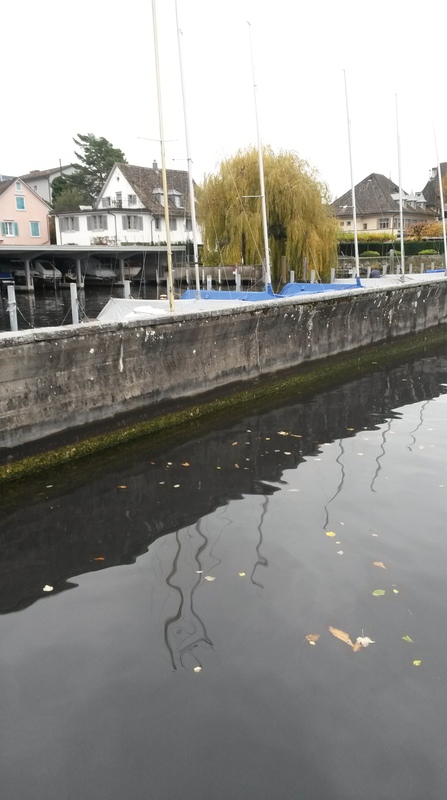 Zurich is calm and reassuring and impeccably organized- perhaps too much so- but I needed this temporary change of scene more than I’d realized. 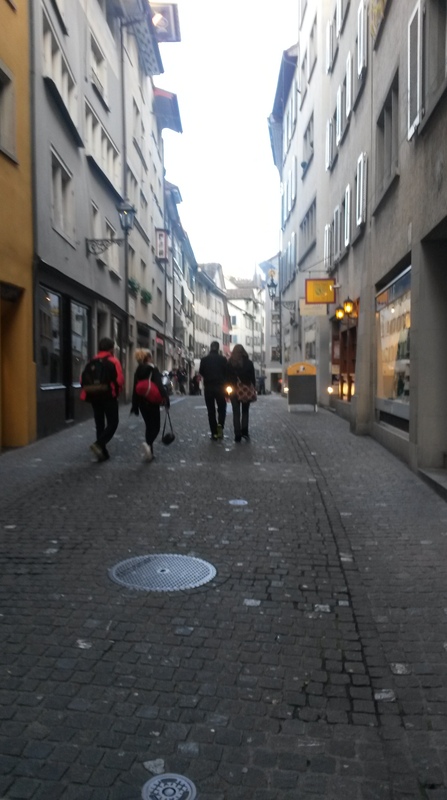 I stayed with a friend… let’s call her… Kelly… who moved to Zurich about the same time I moved to Morocco. It was so much fun catching up. 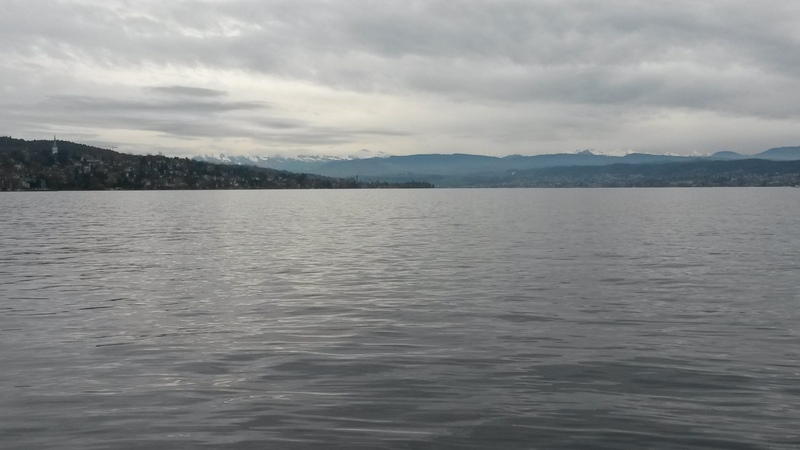 Kelly got out her phone to map the distance, and we immediately realized we’d both hugely underestimated the size of Zurichsee. This would be an eighty kilometer hike. At least. And there were ominous rain clouds approaching. But we already had the idea planted in our heads- a “stupidly awesome” idea, we said- so we shrugged and decided we’d see how far we could get. 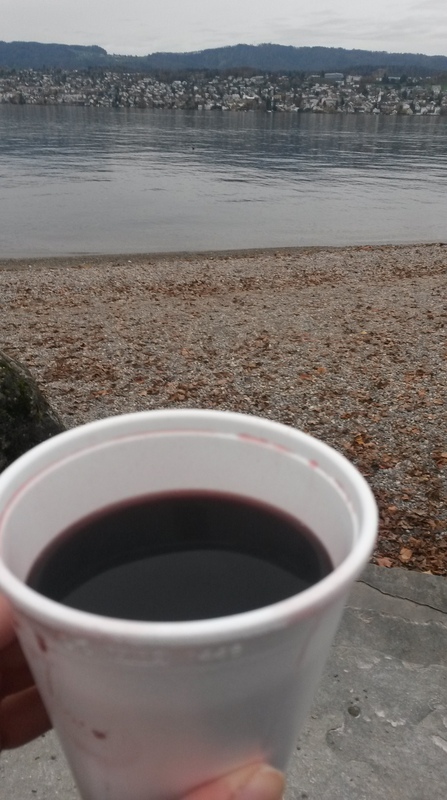 We stopped for Glühwein, delicious hot mulled wine, in styrofoam cups from a tiny stand by the water. 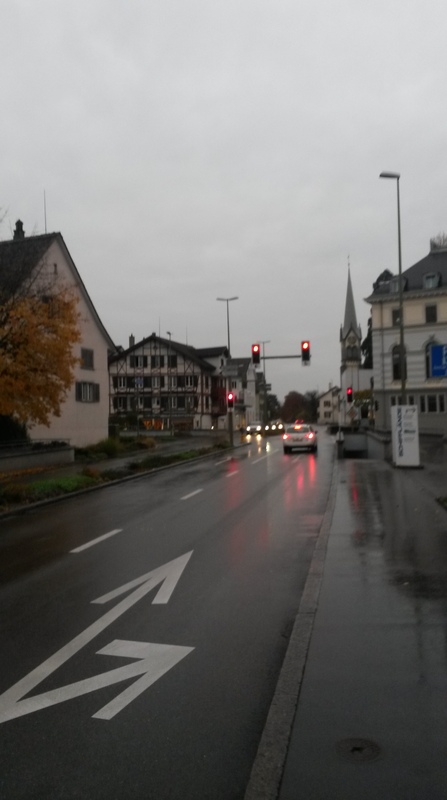 As we reached Erlenbach, the rain started. Just a drizzle. So we kept walking- singing the Marseillaise, I’m not entirely sure why. 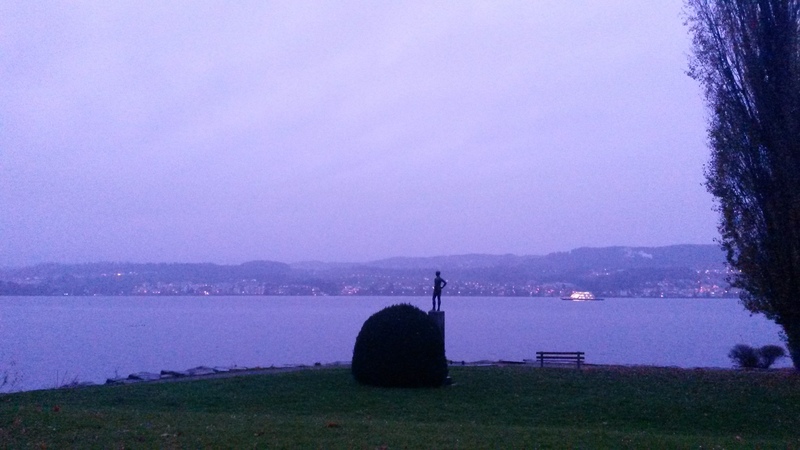 Zurich is in the midst of decorating for Christmas! 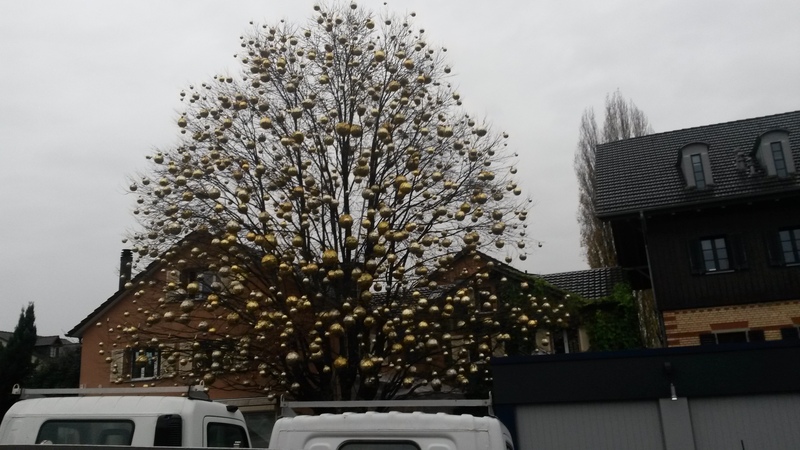 Germany and Switzerland are two countries that really know how to do Christmas right. 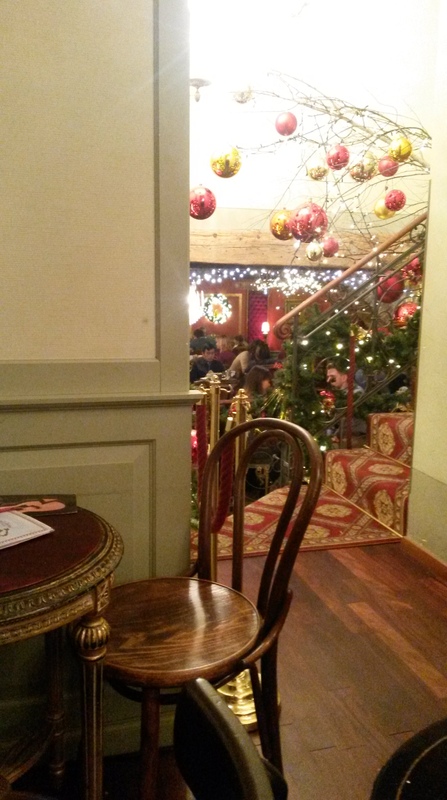 We stopped shortly before Herrliberg for dessert from a bakery cafe in a pretty half-timbered building. 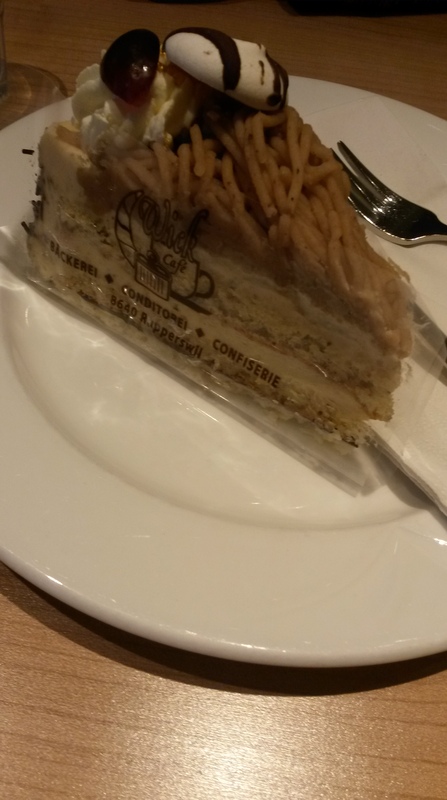 I call this spaghetti cake. I think it’s actually called vermicelli. 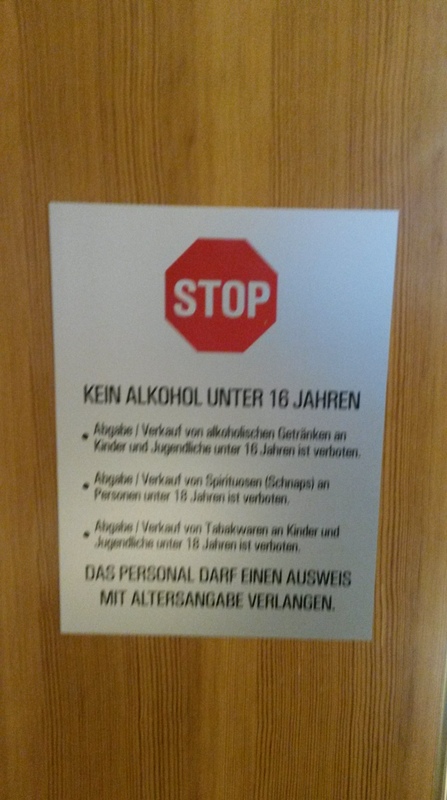 A sign in the cafe warned against serving alcohol to children under 16. About 17 or 18 kilometers from our starting point, we stopped to reevaluate our situation. 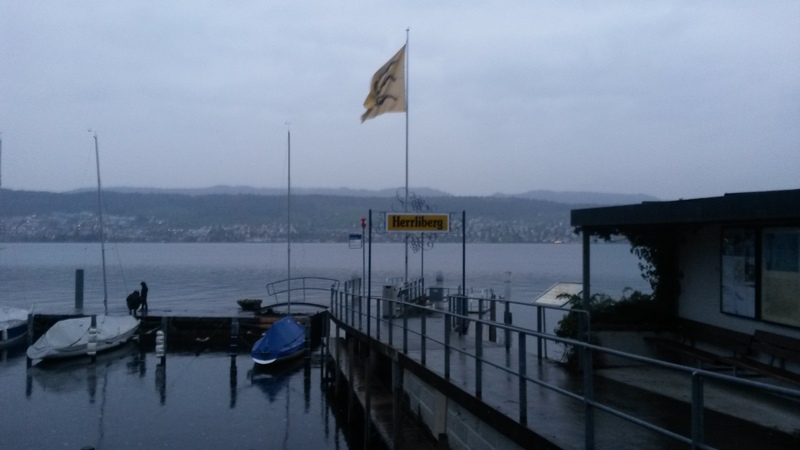 It was dark and cold and still raining. My shoes were full of water and Kelly had a blister. We decided we could walk all the way around the lake if we really wanted to. We could. We totally could. 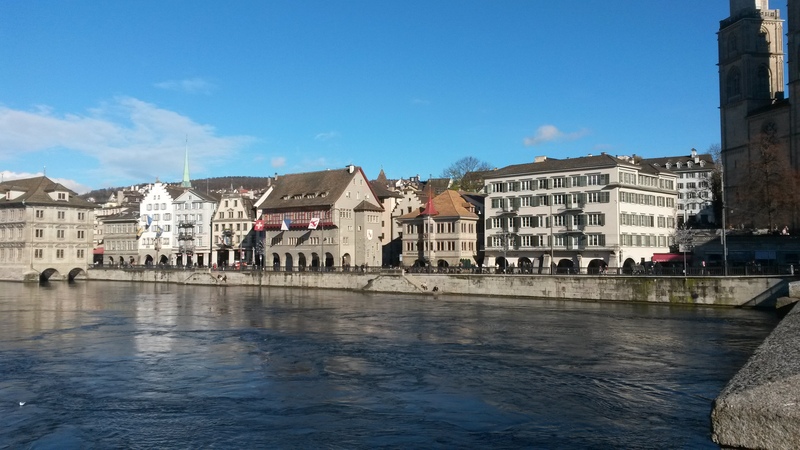 And then we got on the train and rode back to Zurich. 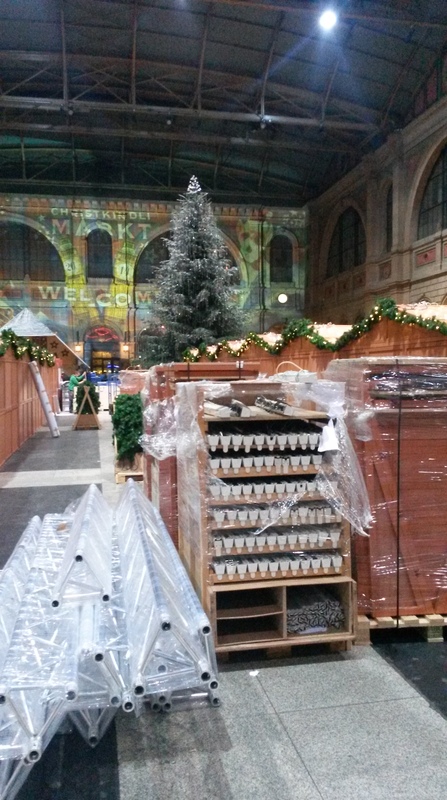 In the Hauptbahnhof, we saw the beginnings of setting up for a Christmas market, complete with a giant Christmas tree decorated by Swarovski crystal.